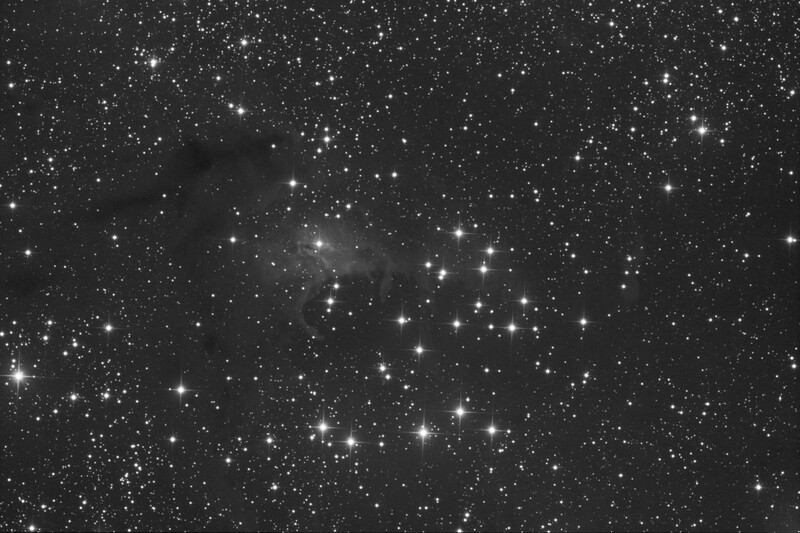 NGC225 Star Cluster also known as the Pommier Sailboat Cluster named by Rodney Pommier. This open cluster is in the constellation Cassiopeia. This cluster is approximately 15′ across and about mag 7. 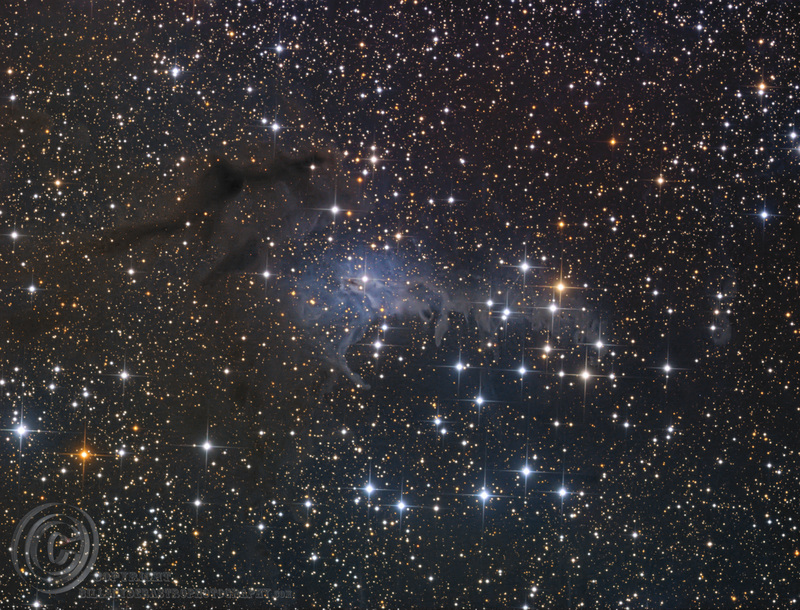 Also associated with this star cluster is a dark nebula known as LDN1302 and a reflection nebula VdB4 illuminated by the light from the nearby blue stars. 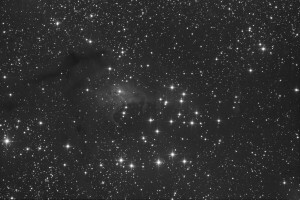 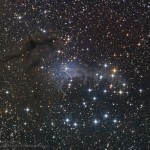 NGC225 is only 10 million years making it one of the youngest star clusters in the galaxy.